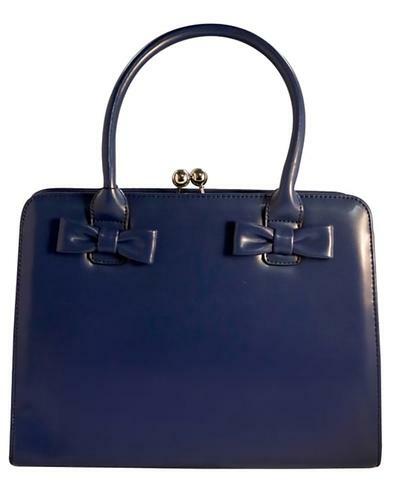 Retro 50s style box handbag by Joe Browns Couture. 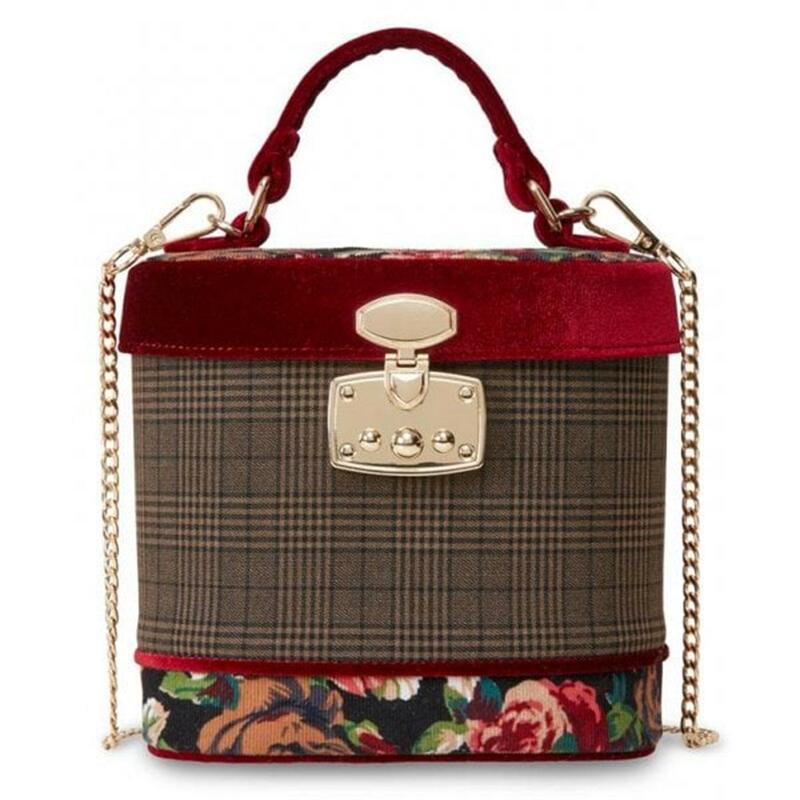 The Ruby Box Bag features a vintage brown tweed upper, contrasted with retro floral fabric and rich red velvet trim. Fastens with a rero chunky metal clasp at the front. 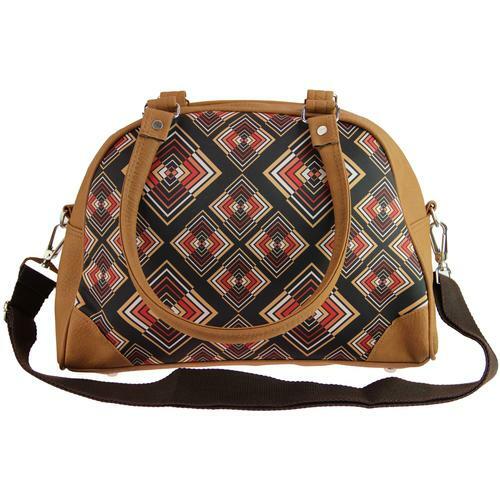 Can be worn with detachable chain shoulder strap or carried as a clutch by handle on the top. 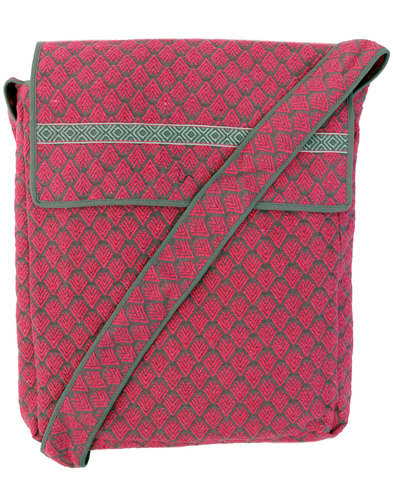 Supremely retro style and perfect with the matching Joe Browns Couture Ruby shoes.